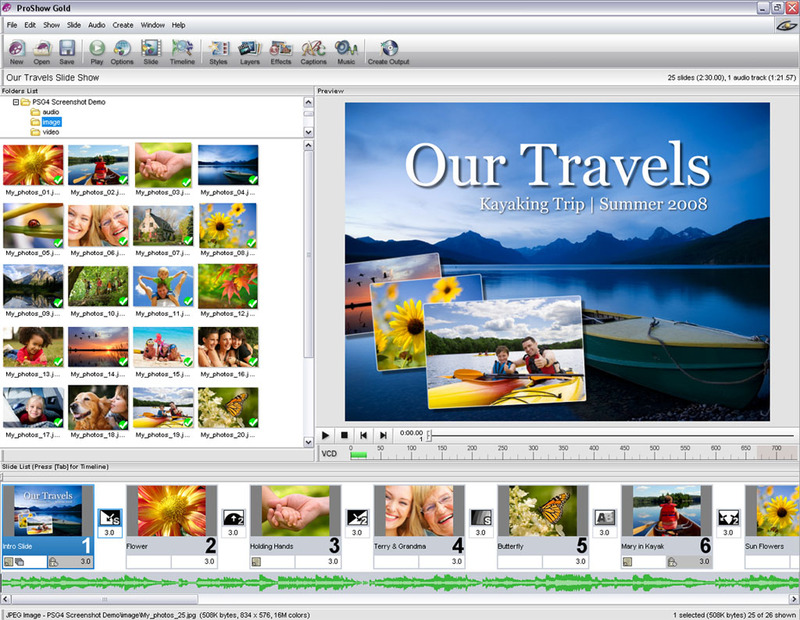 Share your most precious memories with the award-winning ProShow Gold slide show software. Easily combine your photos, video clips and music to create personalized slide shows to share with friends and family in your living room or across the world. Drag and drop your photos, videos and music into ProShow Gold's easy-to-use interface. There you can add borders to photos, crop and edit video and audio clips, use built-in editing tools like red-eye removal and more.